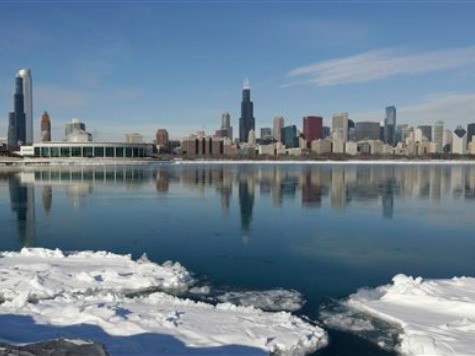 'Polar Vortex' to Blast Frigid Air over Much of U.S. Temperature records will likely be broken during the short, yet forceful deep freeze that will begin in many places on Sunday and extend into early next week. That’s thanks to a perfect combination of the jet stream, cold surface temperatures and the polar vortex _ a counterclockwise-rotating pool of cold, dense air, said Ryan Maue, of Tallahassee, Fla., a meteorologist for Weather Bell. Snow already on the ground and fresh powder expected in some places ahead of the cold air will reduce the sun’s heating effect, so nighttime lows will plummet thanks to strong northwest winds that will deliver the Arctic blast, Maue said. And there’s no warming effect from the Gulf to counteract the cold air, he said. It’s relatively uncommon to have such frigid air blanket so much of the U.S., maybe once a decade or every couple of decades, Maue said. But in the long-run the deep temperature dives are less meaningful for comparison to other storms than daytime highs that are below-zero and long cold spells, he said. Cities and states are already taking precautions. Minnesota called off school for Monday statewide, the first such closing in 17 years, because of projected highs in the minus teens and lows as cold as 30 below. Milwaukee and Madison, Wis., students also won’t be in class Monday. North Dakota Gov. Jack Dalrymple urged superintendents to keep children’s safety in making the decision after the state forecast called for “life threatening wind chills” through Tuesday morning. Sunday’s playoff game in Green Bay could be among one of the coldest NFL games ever played. Temperatures at Lambeau Field are expected to be a frigid minus 2 degrees when the Packers and San Francisco 49ers kick off, and by the fourth quarter it’ll be a bone-chilling minus 7, with wind chills approaching minus 30, according to the National Weather Service. Officials are warning fans to take extra safety measures to stay warm including dressing in layers and sipping warm drinks.